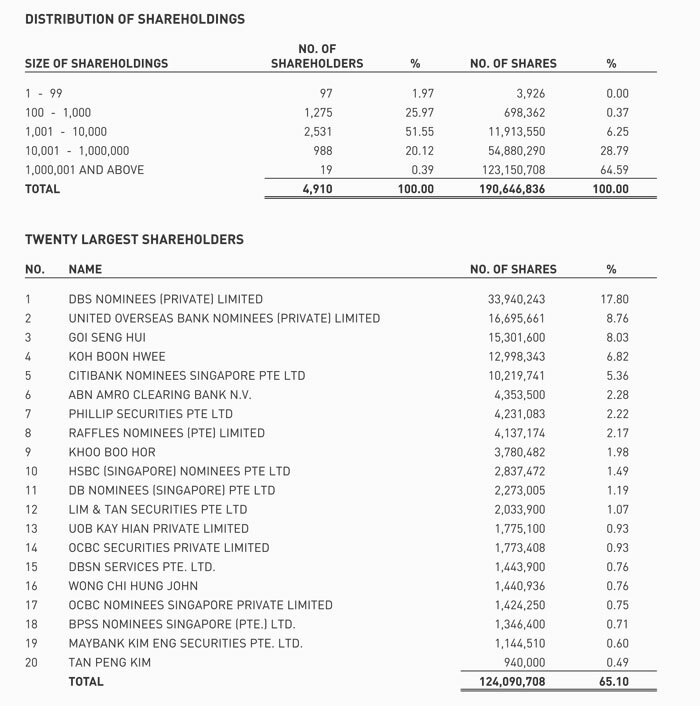 The percentage of shareholdings in the hands of the public is 64.51%. Therefore, Rule 723 of the Listing Manual has been complied with. Note: *Yarwood Engineering & Trading Limited ("Yarwood") is 100% owned by Kong Siang Group Holdings Pte. Ltd. ("KSGH"). Both David Lee Eng Thong and Lee Eng Khian who are directors and having controlling interests in KSGH are deemed to be interested in the 15,301,600 shares held by Yarwood.